This painting was commissioned by the bride, as a memento of her special day. The shoes are white satin, with little sparkle diamanté crystals. We went for shades of grey as the background as that suits her decor. 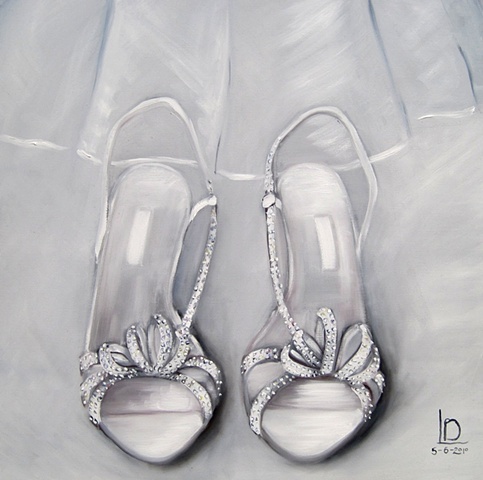 If you'd like to commission a painting of your wedding shoes- or of another pair of special shoes- just let me know! The date on this painting, under my signature, is the date of her wedding- which I think is a nice little touch.